Sign In Try it for Free Today! Need an easy to implement tracking system? Need an easy to use tracking system? 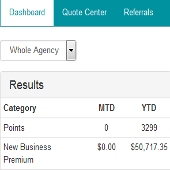 Premiertracker tells you what's going on in your business! Do you know what your producers are doing right now? We provide real time tracking for your review. Track your results from anywhere at anytime! Your dashboard is always available and always up to date with your current results. Simply log in to your account to see how your producers are doing whenever you want. Do you know who just wrote 15/30? How about 3000 annual miles? Anybody can track widgets! At Premiertracker we track quality. With auto policies it's all about the quality of the policy. We give you the ability to see at a glance exactly what your producers are doing. Not only that - we also automatically send you a report every week. Working your life referrals has never been easier! 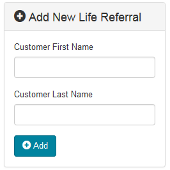 We give you a Referral Management System to help you stay on top of your referrals. Not all referrals are the same! 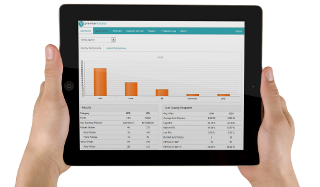 In Premiertracker we measure the quality of the referral, not just the quantity. Wouldn't it be nice to know which producer had the most written policies from their referrals? We don't just tell you which producer is providing the most referrals, we tell you who is giving the best referrals. Create an environment that drives producers to succeed! We create a "no hide zone" in your office. Premiertracker automatically sends a weekly Producer Ranking Report to your entire team. Think about it. If you say no more 15/30 and the staff knows that every time they write a policy with 15/30 on it everybody will know, do you think they will do it? By publishing the results your producers will automatically write policies according to your guidelines. Premiertracker is the most powerful system of it's kind on the market. Quickly track how well your producers are doing in numerous categories. Items, policies, and premium are just the beginning. Is your staff adding med pay, rental or towing? How about identity theft? 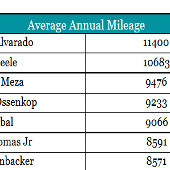 Do you know what kind of liability limits they are writing or their average annual miles? Knowledge is powerful and we put the knowledge at your finger tips. "My agency now revolves around Premiertracker. My staff knows exactly what it takes to make our agency successful and to hit our goals, thanks to this system. It really helps me keep my staff accountable and puts the agency on auto-pilot." "I very strongly recommend it to any agent no matter how big or small. You will be amazed at how it impacts your business." "As a very busy EFS with multiple agencies the Premiertracker keeps my leads organized and allows immediate communication with the agents and staff. It corrects the problem of... 'I gave you a lead, what's the status on it?'" "I have three locations and I can't begin to tell you how much easier it is now for me to track my staff's performance. I would recommend it for everyone." "Premiertracker has helped me to track premium written by individual staff, how much and what business they write as well as the quality of the business being written which otherwise would be very time consuming. Life insurance leads just got easier to track with Premiertracker as well. 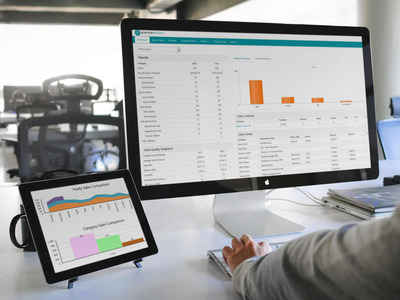 I highly recommend Premiertracker if you are looking to save time on tracking sales and focus on other parts of your business." Get Started Today - Sign Up for a Free 30 Day Trial! 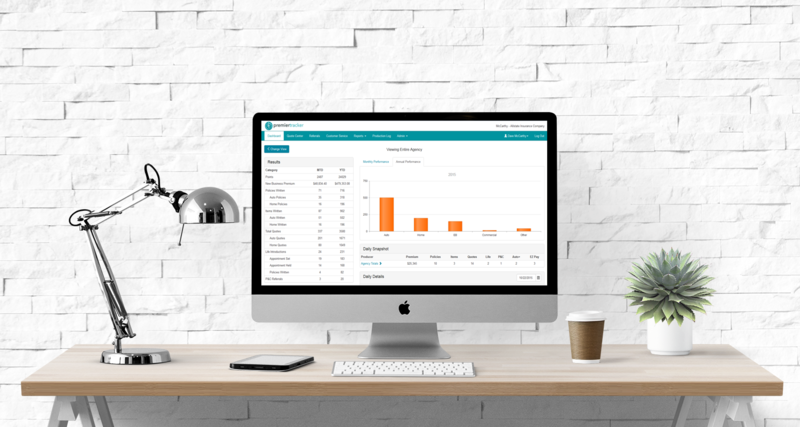 A tracking system built with your agency in mind. Not interested in long term contracts but want to get started. That's okay and we understand. 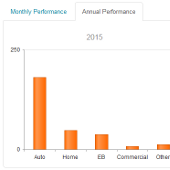 With Premiertracker you can choose to go month-to-month. Cancel at any time (although we are pretty sure you won't want to). Don't have a dedicated IT team? Need to get up and running fast on your existing hardware? Premiertracker is a web-based application which means you are up and running quickly with no impact to your existing system. Please fill out the form below and click Send. We respect your privacy and will not share the details of your email with with anyone else. Copyright © 2019 premiertracker.com. All rights reserved.